Welcome to Eagle Force Legends, the exclusive, limited card packs only available here. 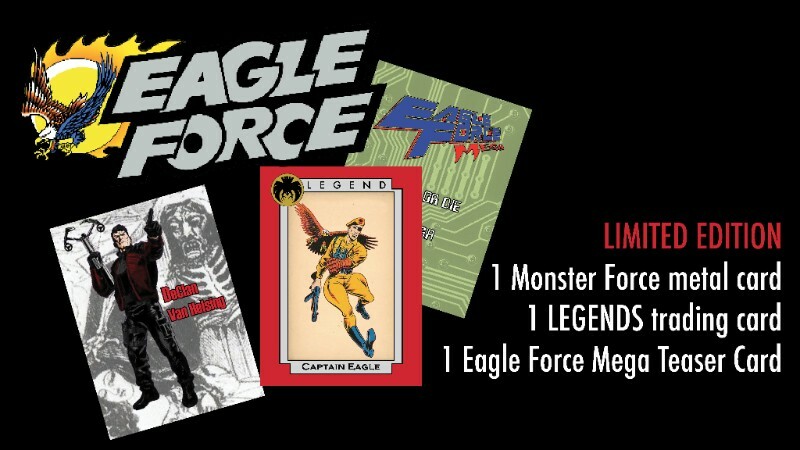 Each pack features three cards: an 18 pt card of an Eagle Force Legend, a metal Monster Force card, and a special teaser card. 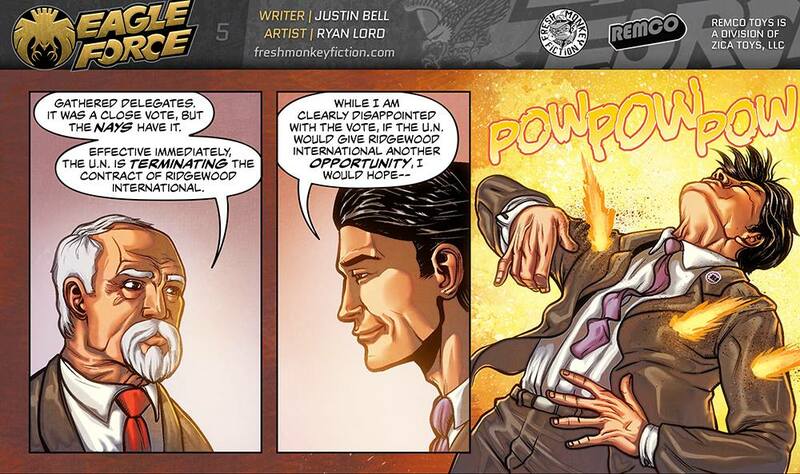 The first has DeClan Van Helsing in metal, Captain Eagle as the Legend, and Eagle Force MEGA as your teaser. These will only be limited to the amount of orders received, and will not be offered again. Don’t miss out on these: they’re only up for one week! NOTE: International backers who already backed the Goldie Hawk cards have the option of having me hold Legends to consolidate with shipping. Just email to make arrangements.